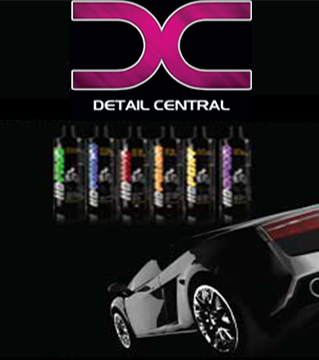 The "game" of vehicle paint perfection has changed dramatically in the last few years. Two major changes include the introduction of "euro" foam pads and the introduction of long-stroke or long-throw dual action polishers. Buff and Shine has responded by creating Uro-Tec, a line of buffing pads made with euro foam and specifically designed for these new DA polishers. Euro foam is imported from Europe and was specifically designed years ago for use on automotive surfaces. Its design was driven by the OEM auto manufacturers who demanded highly durable foam pads that can quickly produce great results in the factory's intensive buffing environment where it is common to find dozens of buffing technicians working non-stop every day, all day long to perfect the fresh paint of hundreds of newly manufactured vehicles coming off the assembly line. Although Buff and Shine's Uro-Tec pads will work great with virtually any polisher, they will be especially favored by those detailing technicians who prefer long-throw or long-stroke DA polishers. Uro-Tec pads are perfectly balanced for these specific types of polishers. This balance reduces vibration and pad "hopping", which leads to superior contact with the polishing surface, which increases polishing efficiency. Uro-Tec pads are made with high-quality reticulated (open cell) euro foam of a higher density that will reduce the pad softening that some technicians have experienced during heavy use with these machines. This is because the open cell construction helps to disperse heat during use. The center hole of the Uro-Tec pads also helps with pad heat by providing a cooling chamber for excess heat to escape while the pad is working on the surface. The heat travels up the center hole and then dissipates into the open cells of the foam. This heat transfer action allows longer working time. The center hole of the pads can also help with visually aligning the pad onto backing plates that have a similar center hole. By nature of their manufacture, all Uro-Tec foam pads have supreme tear resistance. You will find that these pads last longer than other pads you might have used. And, of course, because Buff and Shine's uses only high-performance adhesives, separation of the foam from the hook-and-loop backing material is not likely, even with extended use and multiple washings. The dimensions of the Uro-Tec pads are designed to maximize buffing and polishing efficiency. The backing diameter is 5" to fit perfectly onto long-stroke DA polishers. The 1" pad thickness provides a perfect balance between stiffness, providing consistent contact across the pad face with larger flat panels, and flexibility, allowing the technician to maneuver the pad into body contours. Because of their beveled design, the working area is actually 1" larger in diameter than the base and thus provides a larger working area than a squared-off design. Buff and Shine's Uro-Tec Foam Pads come in four grades to cater to virtually any paint condition, any paint perfecting chemical, and any technician's preferences. The Blue pad is for compounding and heavy cutting to remove heavy paint defects. Burgundy is designed to provide medium cutting ability and can be used for heavy polishing. Yellow is used for general-purpose polishing to remove minor paint imperfections. White is used for final finishing as well as application of wax or sealant. The dense foam construction of the Maroon Pad makes it perfect for use with one-step compounds and polishes. When the heavy-cutting ability of the Blue Pad is too much, use the Maroon Pad to create a flawless, haze-free finish. Follow with the White Pad to create a dazzling, show-car shine.